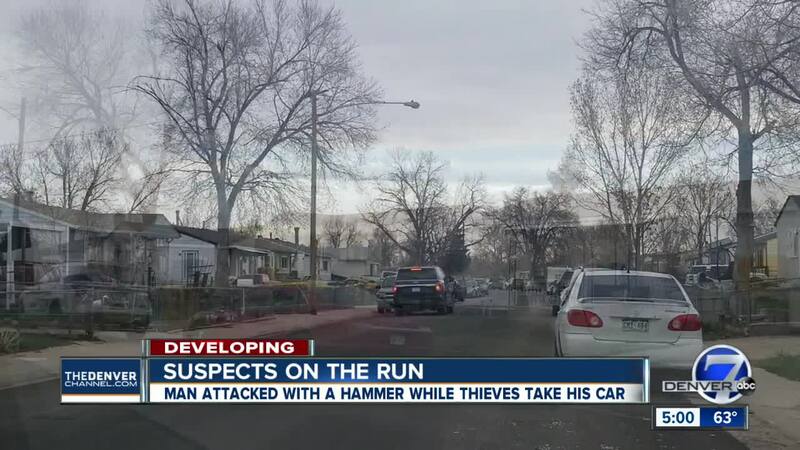 ADAMS COUNTY, Colo. – Deputies with the Adams County Sheriff’s Office are looking for two men suspected of breaking into a home and hitting the homeowner with a hammer early Sunday morning before escaping with the man’s car. The home invasion happened at around 7 a.m. in the area of Ivywood Street between E. 80th Ave. and E. 78th Place, near Brighton Blvd. One of the suspects was described as a wearing a mask and measuring 6-feet tall and 240 pounds. The other was described as a Hispanic man in his 20s. Both left the scene of the crime in the homeowner’s 2005 grey Porsche Cayenne, deputies said. Interviews with witnesses were still taking place after noon Sunday, according to the Adams County Sheriff’s Office.